If you're looking for a product with a sophisticated look and compact design that can print photo lab quality at a great value you need look no further than the PIXMA iP2700 Inkjet Photo Printer. This printer is an exceptional Wireless Inkjet All-In-One printer offering performance, real convenience, and remarkable quality. The MG5722 allows you to print both beautiful, borderless photos, as well as crisp documents up to 8.5" x 11". The Canon PIXMA iP2700 use Canon PG 210XL and CL 211XL ink cartridges. From InkTonerWeb.com, we have compatible PG 210XL and CL 211XL. They are guaranteed to perform with your Canon PIXMA iP2700, iP2702, MP240, MP250, MP270, MP280, MP480, MP490, MP495, MX320, MX330, MX340, MX350, MX360, MX410, MX420 printers. Our compatible (generic) replacement ink cartridges are made in ISO9001 & 14001 factories and meet the highest standards of quality, reliability and exceptional yields, offering high-quality printing results as OEM Canon ink cartridges. Our Canon compatible ink cartridges are guaranteed to provide the same high print quality as the original brand name Canon compatible ink cartridges. 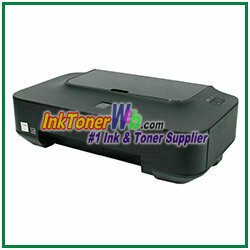 Purchase Canon PG 210XL and CL 211XL premium compatible ink cartridges from the #1 ink & toner supplier - InkTonerWeb.com. Your online shopping experience will be the most enjoyable. Order your Canon compatible ink cartridges fast!